But I never imagined I’d make sand sculptures with local community groups in Trinidad, honoring the journey of the leatherback sea turtle. I never imagined I would learn bachata in the Dominican Republic, and in turn, teach a Bhangra workshop to beloved members of the town of Monte Cristi. I never imagined I’d climb the Great Wall of China in Beijing, reflecting on the centuries of history rising up all around me. Thanks to the support of the Goodnight Scholars Program, I have had the opportunity to learn from communities around the world. My personal transformation through each journey has been tremendous. I set my driving goal for my undergraduate degree when I was in high school. No matter where I find myself in the world, I should be able to thrive both professionally and personally. That’s precisely why I selected my degree path; I felt that mathematics and computer science transcended borders. Through these enriching trips, I’ve been able to take my goal for an internationally-oriented education to the next level. Prior to college, traveling abroad for learning or for a vacation was simply not possible financially. My experiences abroad prior to college had been to India, for which I am very grateful. 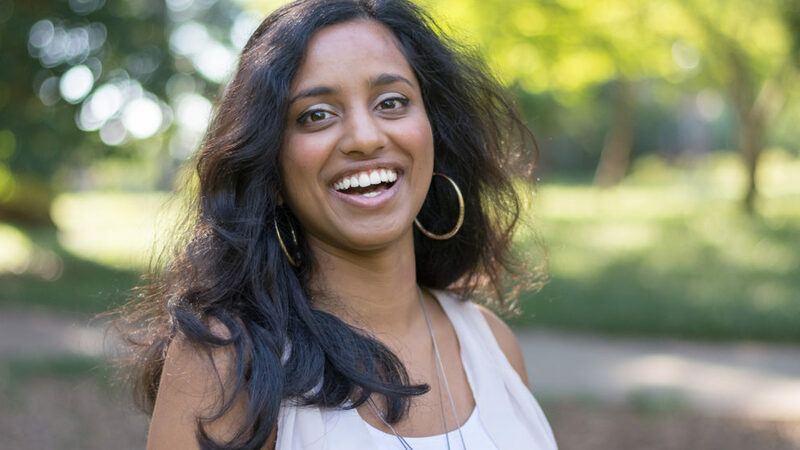 Around every 4-5 years, my family and I travel to India to reconnect with family members in our home state of Tamil Nadu. The three weeks there often fly by, while we make memories that we cherish when we return to our lives in the United States. As a freshly minted first-year student, the idea to apply to travel opportunities began to take root in my mind. In the Goodnight Scholars first-year seminar, we learned about the travel opportunities within the Program and throughout NC State. I wanted to push myself out of my comfort zone and try something completely new, while engaging with the Goodnight Scholars community. 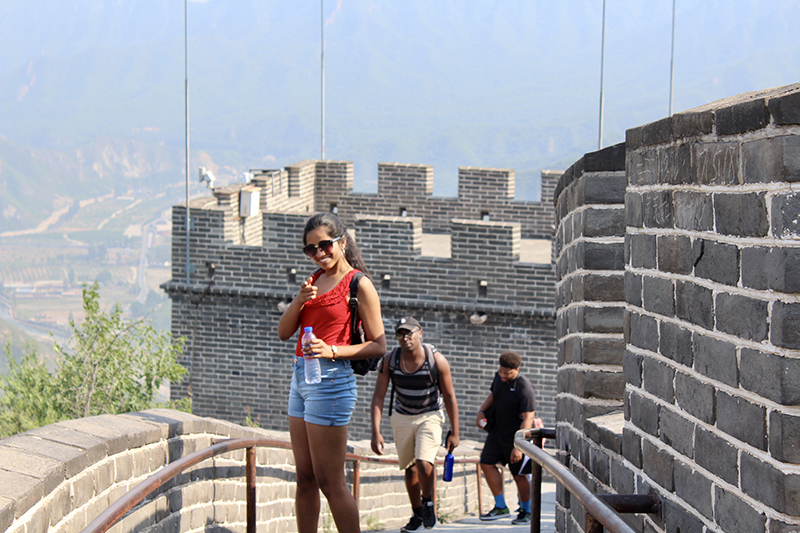 The summer exchange program to Hangzhou, China was my perfect fit, because of its engineering focus, its partnership with the Goodnight Scholars Program, and the unique opportunity to explore China in a way I may not be able to again. 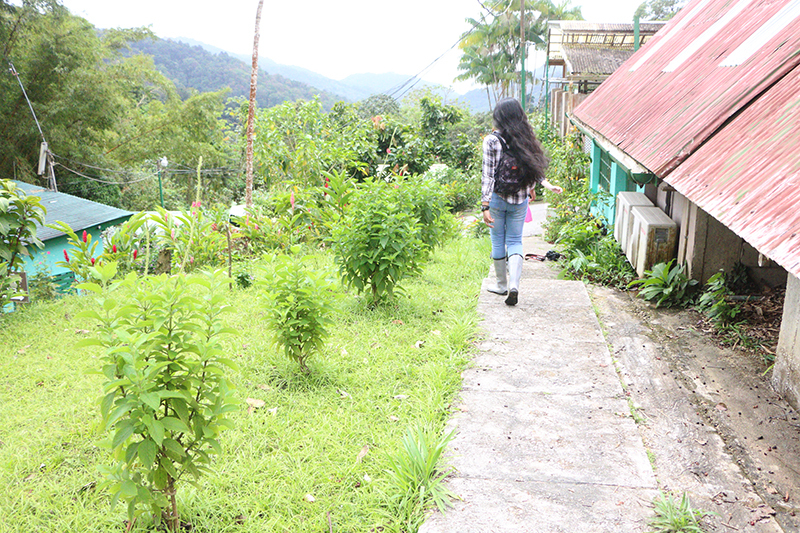 “This past summer was like none other. China gave me so much: a sense of adventure, a higher level of independence, some of the best food I’ve ever had in my life, and questions about individual and collective identities. When I set foot on the plane bound for Beijing, I had no idea what to expect. My time in China changed my life. Over spring break in 2017 and in 2018, I traveled to Trinidad and Tobago with the Goodnight Scholars Program. This Alternative Service Break (ASB) trip fundamentally changed who I am. Our goal was to learn about and help support conservation efforts in the region, but I gained so much more. We immersed ourselves in the Asa Wright Nature Center, heart of Trinidad, and the rainforest of my wildest childhood dreams. Community members like the courageous and kind Winston greeted us and guided us with their words of truth. We worked with young students at Trini primary schools and in turn, learned about their dreams for the Earth and how we can save it. Among our team, we forged bonds so rare and strong. My time in Trinidad transported me. It is a moment in time forever marked in mind as my time to grow. Over winter break in 2017, I traveled to the Dominican Republic with Leadership and Civic Engagementat NC State. 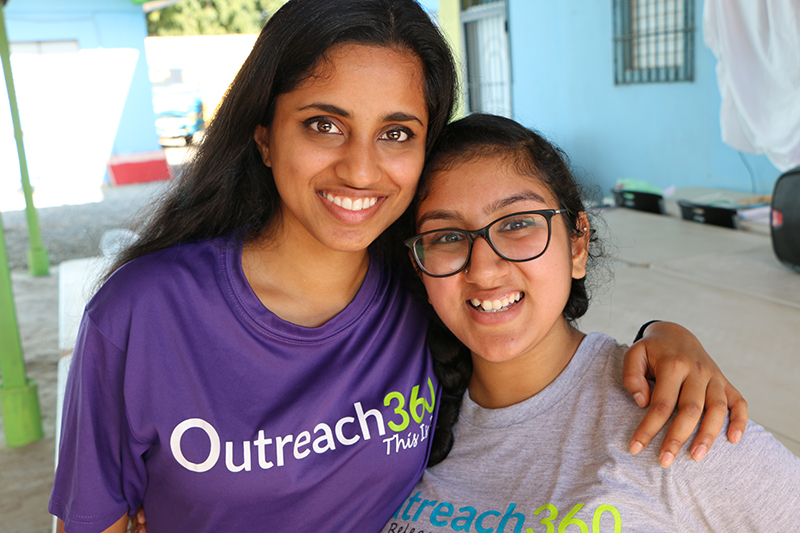 We were working with our long time partner, Outreach 360, which is an organization devoted to empowering students within the community of Monte Cristi by teaching them the English language and a path to personal growth. Most recently, I had the chance to travel with the Goodnight Scholars Program on our annual fall break trip to Boston. We engaged with professionals at MIT and at Mass General, but we also had a great deal of time to engage with the city in our own way. 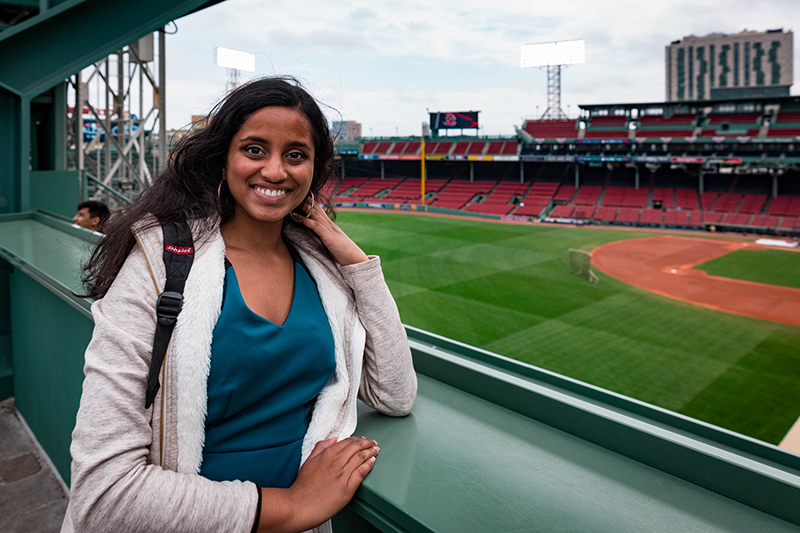 We explored the best spots off the Boston harbor, found a magnificent view of the Boston skyline at night, and relaxed at cultural events that brought the city together. “I feel transformed. I am transformed. And I don’t say that lightly. I can’t believe it’s only been four days. It feels like it’s been two weeks or more. We use that term when something so thoughtful has been carried out on our behalf. The Goodnight Scholars Program has enriched my education beyond my wildest dreams. That has meant the world to me. The Goodnight Scholars Program has given me a boarding pass. With it, I can help build communities that straddle seas. I can understand the borderlands that define me and that are continually evolving within me. With this boarding pass, I can travel through the rest of my life with the confidence that I can build bridges as I walk.